Moneo writes: Are we ready and willing? Like a lot of others reading this column I have been watching this year’s version of the Great British Menu. For those who do not watch this I should explain briefly that each year the judges choose a worthy cause to celebrate by organising a banquet in honour of the chosen organisation. This year they have chosen to celebrate the 70th anniversary of the NHS and especially to thank those who work in the NHS. It has been interesting therefore to see just who those chefs competing think work in the NHS. Unsurprisingly chef after chef seems anxious to celebrate, in the main, the doctors, and nurses. I say unsurprisingly because so often we hear the NHS referred to as the doctors, nurses and hospitals, as if this is all that it consists of. We all know how wrong that is but the problem is that this is also how the Department of Health seems to view things. Time after time when referring to the NHS the Secretary of State for Health of the day can be heard making just this reference. Now of course this could just be born of ignorance and a genuine belief by that individual that that is all the NHS consists of but I would hope that is not the case. The problem is, however, that this continual mantra causes the general public to ignore the wider aspects of the NHS and also seems to provide an excuse for those that run the Department of Health to ignore the wider aspects also. With the announcement by the Prime Minister at the Tory Party Conference this year of the end of austerity and her signal of a real increase in spending on the public services sector would it be foolish to expect to see at last some genuinely realistic funding of the General Ophthalmic Services? Just recently I was reading through some articles that I and others have written for the optical journals over a period in excess of 30 years concerning funding of the GOS. What struck me is that I could have picked on any one of those articles spanning 30 years all of which could have been printed in this column and still been totally relevant for today. What does this mean? Well it means that we as a profession have totally failed to demonstrate to both government and the public just what an important role optometry plays in maintaining the eyesight of the nation over nearly half the time the NHS has existed. How can this be? I do not intend to repeat the arguments that have been played out in this and other columns over the years. But the Prime Minister has now signalled the start of the biggest fundamental shift in government spending within the public sector for over a decade. It is clear to all that over the years our negotiators have failed abysmally to make any genuine progress in achieving realistic funding for optometry and indeed dispensing optics. It is a disgrace that for years optometrists have received funding for CET while our dispensing colleagues have suffered the indignity of receiving no funding whatsoever. History is not going to be re-written but there are opportunities in the future. The problem is that I genuinely believe we stand no chance at all of achieving even mediocre progress with the negotiators and the negotiating stance that currently exists. What is needed is the creation of a modern proper business case that is backed by all in the professions of optometry and dispensing optics. There needs to be a new team of robust negotiators prepared to stand up to, and beat down those in the Department of Health. We need, for the first time, to give our negotiators a clear mandate for action to achieve our aims. This is not unnecessary radicalism. This is an attempt to achieve for the public of this nation a modern eye healthcare service that genuinely meets the eye care needs of our patients. We all know the GOS is not fit for purpose. We all know that it is a waste of time that mis-spends the public purse and is so outdated that it is highly likely it is responsible for needless sight loss. 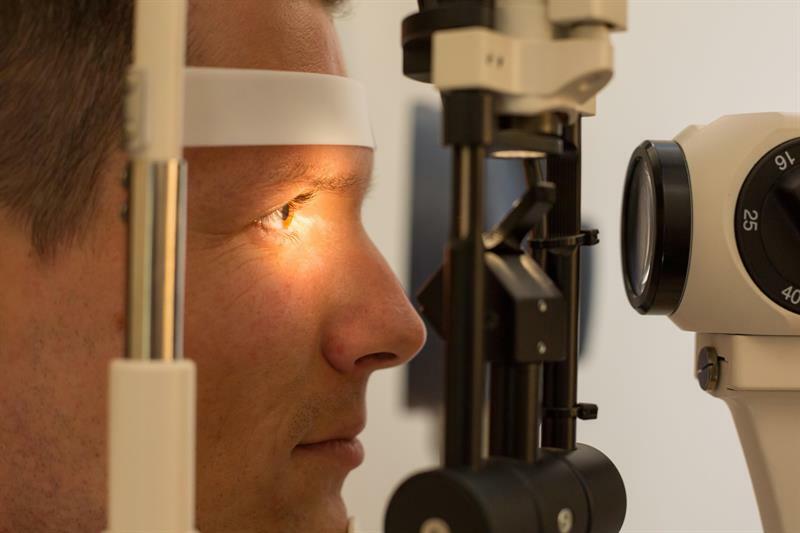 We need negotiators who are aware of this dreadful state of affairs and are prepared to develop a modern structure to deliver high quality primary eye health care and not just basic testing of sight as originally envisaged. We need then to give these people a mandate to fight for the changes that such a new service will allow. It is time for this profession to stand up and make its voice heard. People say we are few and hence will not have a big voice but at the end of the day we prevent people from going blind. We protect the most precious sense that anyone in this nation has. As such we have a very powerful voice indeed. The time has come to use it. The government has signalled it is ready to change. The question is are we ready and willing?